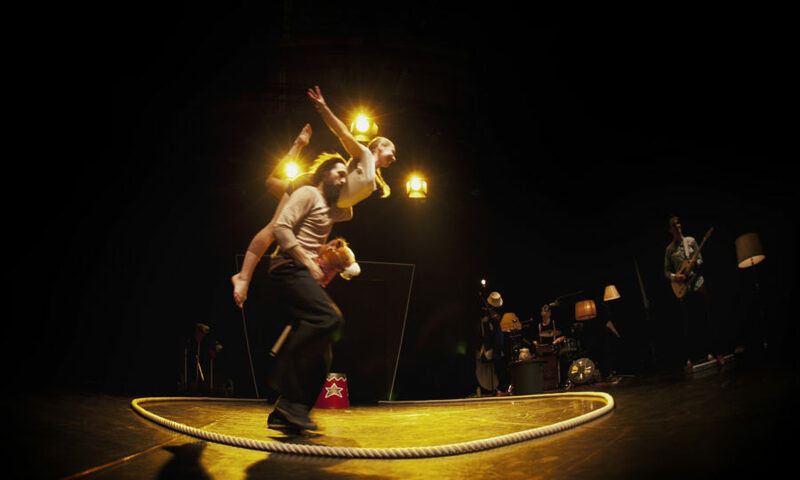 Arriving with a caravan of hobby horses, two acrobats transform an empty stage into a charming circus with the help of a band of musicians. 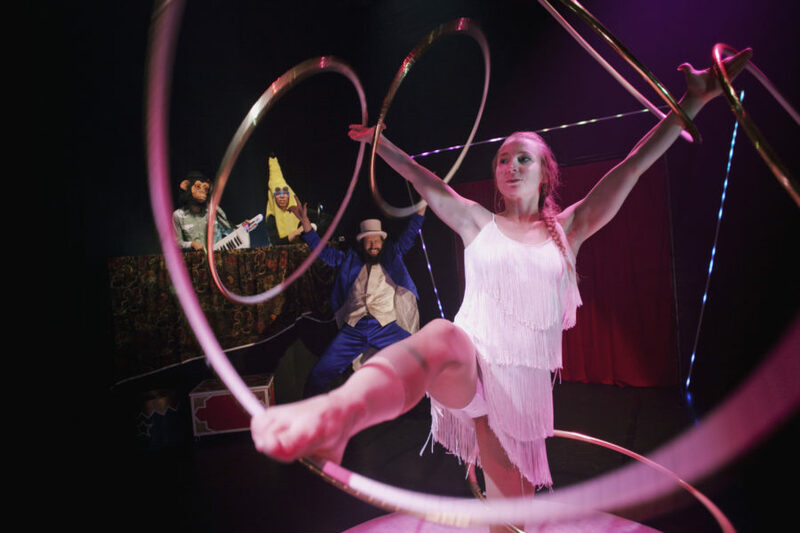 This plucky circus troupe’s quirky show begins with a monkey playing guitar. 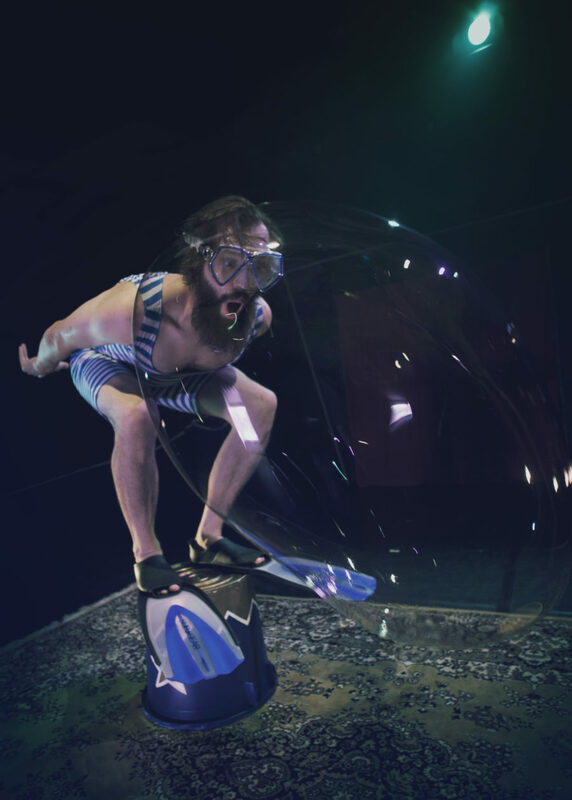 Elephants and snakes are conjured out of thin air, twinkling soap bubbles float in half-light, an underwater diver flips and twists in front of your eyes. 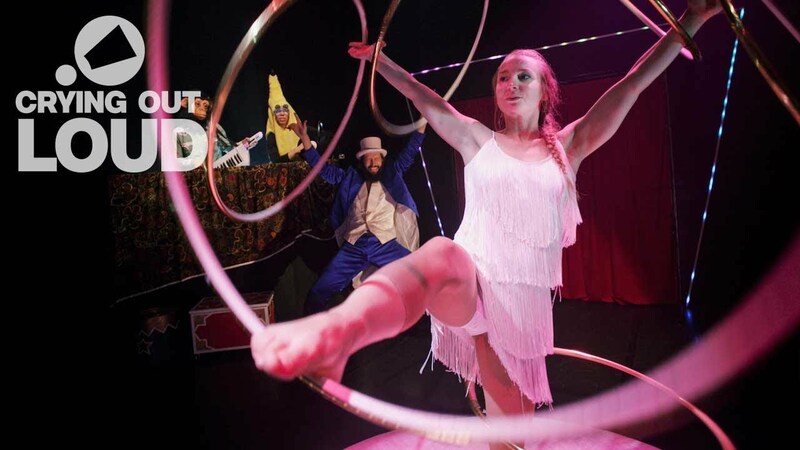 There is juggling, sword swallowing, hula hooping, acrobatics and clowning, all performed to live music. Around is a show in which the unimaginable is made possible. Captivating and performed with beautiful skill and artistry, it is perfect for little ones and their families. 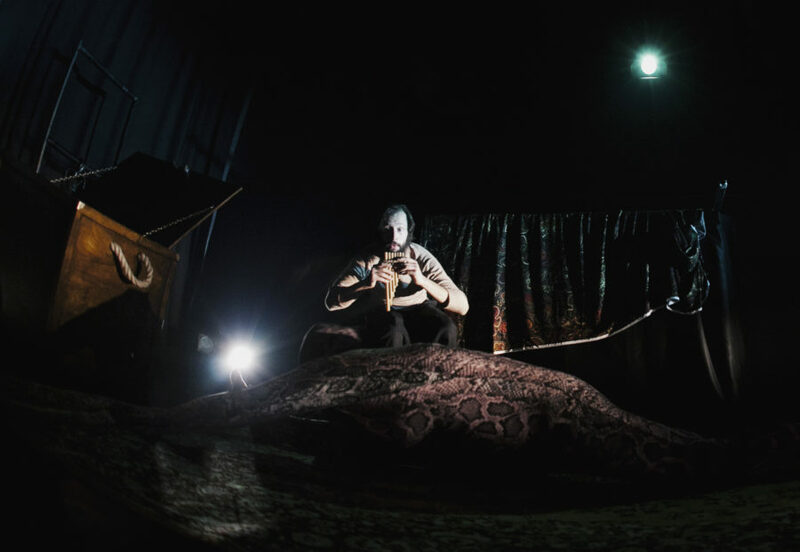 Crying Out Loud toured their previous highly acclaimed show Petit Mal.